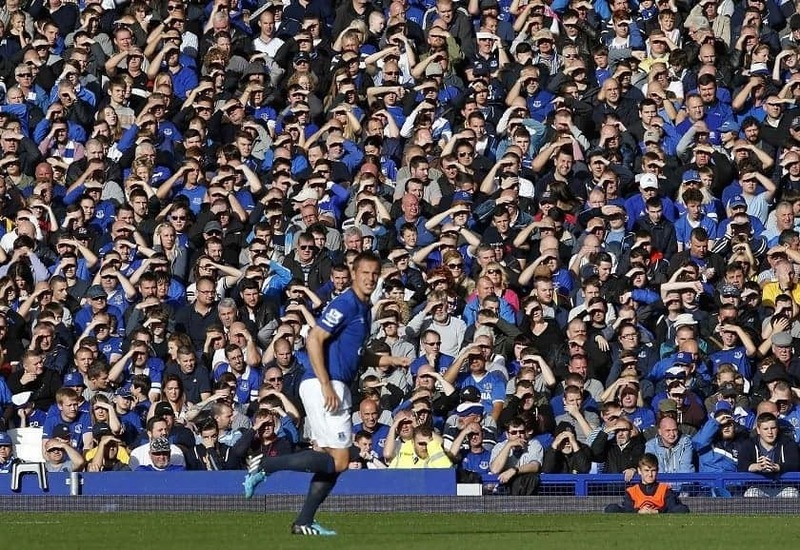 Everton has achieved record-breaking Season Ticket sales one week before the Club’s Early Bird discount window shuts. Over 27,500 supporters have already secured their 2016/17 Season Tickets, putting the Club 2,500 (+10%) ahead of the total Early Bird sales achieved in 2014/15, which was a record-breaking year. And with just one week to go before the Early Bird window shuts at midnight on Wednesday 25 May, the Club is expecting sales of 2016/17 Season Tickets to exceed those achieved in 2014/15 by a considerable margin. Sales include over 3,500 new Season Ticket holders wanting to take advantage of the new pricing structure for the forthcoming campaign, which includes price reductions across the stadium and the introduction of new age bands. Adult seats for 2016/17 are now available from only £420, a move that represents a ‘free game’ when compared to 2015/16 prices – and means on average across the stadium, a Season Ticket bought during the Early Bird window for the 2016/17 season is cheaper than a decade ago. Season Tickets for young Evertonians in Junior and Infants schools and aged 11 and under remain at £95 – just £5 per game – and are available in any stand. The Club has also lifted the upper age limit for young Blues from 16 to 18-years-old and prices for those young fans are currently £149 throughout the stadium, less than £8 per game and a £50 price reduction for this age group in all stands with the exception of the Family Enclosure, where the price has been frozen at £149. Fans aged between 18 and 22, at university or college, on apprenticeships or in their first jobs, or trying to find work can buy a ‘Young Adult’ Season Ticket fixed at £299 across all stands, replacing this season’s price of up to £382, and costing our young adult fans less than £16 per game. Since the Early Bird window opened in March, the Club has sold over 6,500 Season Tickets to under-22s, which is 1,000 more than this time last year and means that 1 in 4 Season Ticket seats will be occupied by a young person during 2016/17. Prices are also reduced in the Senior category with a Season Ticket in any stand at Goodison Park reduced to £299, representing a saving of between £29 and £83 for more than the 3,000 fans in this age group. Buying a Season Ticket is the only way to guarantee your seat for all of Everton’s 19 home Premier League fixtures and earlier this month Everton released a raft of great seats not yet renewed. On Saturday 21 May the Club will be opening its doors for ‘Blue Seat Day’, when prospective Season Ticket purchasers can come to Goodison Park and choose a suitable seat. Between 9am and 4pm, fans will be able to see which seats are available and try them out for next season. Some of the best seats in the house will be marked with blue stickers, indicating that they are available and can be purchased immediately. The Early Bird window for Season Ticket sales will remain open until midnight on Wednesday, 25 May. Everton is continuing to offer a nine-month interest free payment option through MasterCard, and a Direct Debit facility available over eight monthly instalments, the deadline for which 31 May*. There is no booking fee for online transactions. For full pricing details or to purchase, visit evertonfc.com/1617, call the Goodison Park Box Office on 0151 556 1878 or visit the ticket desk at Everton Two in Liverpool One.